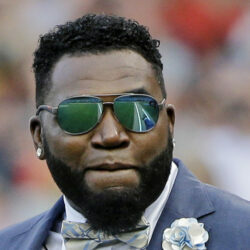 David Ortiz finds the players already are locked in as their quest for a repeat title begins. 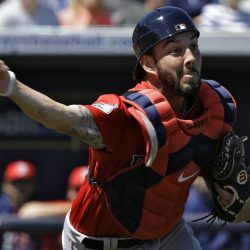 Sandy Leon is aware the Red Sox do not plan to keep three catchers and either he, Blake Swihart or Christian Vazquez could be gone. Mookie Betts will be a free agent after the 2020 season, and his asking price could surpass Harper and Machado. 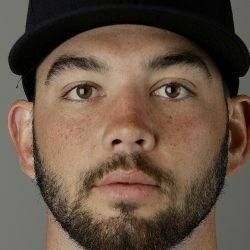 Blake Swihart receives support and gets a hit before leaving to attend the funeral of his brother. It's another tragic loss surrounding Red Sox spring training. Brock Holt was unsure of if he'd have a spot on the Red Sox roster last spring, but he's a lock this time around and has become a major contributor. 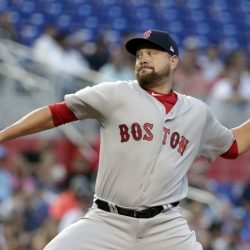 Brian Johnson made a big change from starter to relief pitcher in the middle of last season. Now he's set for a utility role for Boston this year. 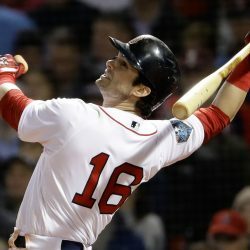 Commentary: Can Benintendi pick up where he left off for Boston? After a big postseason push last year, the Red Sox and Andrew Benintendi enter the season with high hopes. 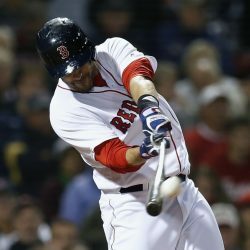 Christian Vazquez and Sandy Leon are both solid defensively but have struggled to hit.